After the financial crisis, Wells Fargo's corporate comms leader is constantly sharpening the bank's reputation to win back the trust of consumers in the communities it serves. The son of two bankers, Oscar Suris intentionally tried to avoid any bank-related roles at the beginning of his career. Since he yearned to become a business journalist, Suris figured a degree in finance would be fitting. And he was right – it helped him land a position at The Wall Street Journal, where he was a reporter for four years. But even though this was in the early 1990s, when the concept of online publishing was still in its infancy, newspaper titles were already seeing shrinking circulations and advertising revenues. "I didn’t want to find myself being the curmudgeon in the newsroom complaining about that, so I said, ‘Let me join the guys on the other side and see if I can help,’" Suris says. He joined the Miami Herald Publishing Co. as executive assistant to the chairman and publisher, and, following that, became director of corporate communications for AutoNation. Once there, he "never looked back" at the world of journalism. "Count me among people who don’t believe that when you leave the news business, you join the dark side," Suris explains. "I look at it as the difference between writing about how a sausage is made and being part of the sausage-manufacturing process; the latter is the process I love being a part of." "The company went from being a mid-tier Fortune 500 to becoming a top 30 overnight," he adds. "That is what I walked into." Wells Fargo’s Q1 2015 revenue came in at $21.3 billion, rising 3% compared to Q1 2014. However, regardless of the size of the company or the situation, Suris’ golden rule has always been about playing good defense. As well as this, he always makes sure risk-management protocols are in place before disaster strikes. "Whether you are a Fortune 500 company, nonprofit, government entity, or an individual, you always have to deal with a perception gap between how you see yourself and how the world actually sees you," Suris says. "My main aim is to help manage that gap through comms efforts." Suris reports to Patricia Callahan, senior EVP and chief administrative officer, who notes that his view is sought on a wide variety of issues facing the company because he has "great instincts and experience" regarding how others will respond. "Oscar has a way of thinking issues through and uncovering perspectives that others may have missed," she adds. In February, Wells Fargo agreed to pay $4 million – $2 million toward a penalty and $2 million toward restitution to customers – because a former subsidiary illegally took interest in the homes of borrowers. In situations like this, Suris says the most important thing a company can do is acknowledge it’s not perfect. "When we are in the wrong, we take steps to correct our mistakes," he adds. "No matter how you may feel about Wells Fargo, we engage with stakeholders who have an interest in us and we do our best to be a good citizen in the communities we serve." For instance, in 2010 when the widespread epidemic of improper foreclosures initiated by large banks and other lenders struck, Wells Fargo was left standing as one of the few healthy financial institutions. It started to operate home preservation workshops across the country over the course of several years, where staffers met face to face with more than 40,000 home mortgage customers to help them avoid the possibility of losing their homes through foreclosure. To date, the bank has forgiven more than $9 billion in mortgage principals, helping thousands to keep their homes. "We’re doing our best to offset the impact of the foreclosure crisis," Suris notes. "In DC, we work with policymakers to help make the country’s housing market healthier." But even though the US banking system currently appears to be in good health, he says that doesn’t take away from the residual reputation challenges that remain. "Every day we suit up to earn that trust back by explaining how our bank operates and what we do on behalf of customers," Suris explains. One way the company does this is through an online magazine called Wells Fargo Stories. Suris’ team launched the microsite last March, showcasing how the bank has helped customers and communities, as well as how team members live the company’s values. He says the site has amassed more than 3.5 million unique visitors since inception and 185-plus pieces of content have been published – which has generated nearly 7,500 shares to date. "We are looking at what stories have performed well and how we want to evolve the site to accommodate other types of storytelling," Suris continues. "The stories that have had the most success so far are human stories, where the rational intersects with the emotional." 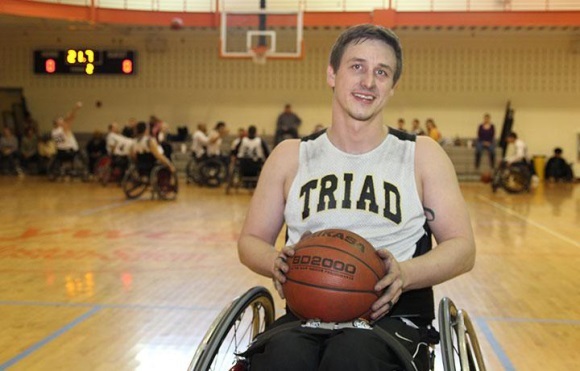 Recent pieces on the site feature a Wells Fargo business banking relationship manager, Maisie Roberts, who spends countless volunteer hours feeding the hungry, and another staffer, Travis Smith, who turned to wheelchair basketball after a motorcycle accident left him paralyzed. Wells Fargo also uses social media to communicate with stakeholders. Suris’ team provides content to the bank’s enterprise social media team, which has responsibility for the company’s branded channels on Twitter, Facebook, and LinkedIn. 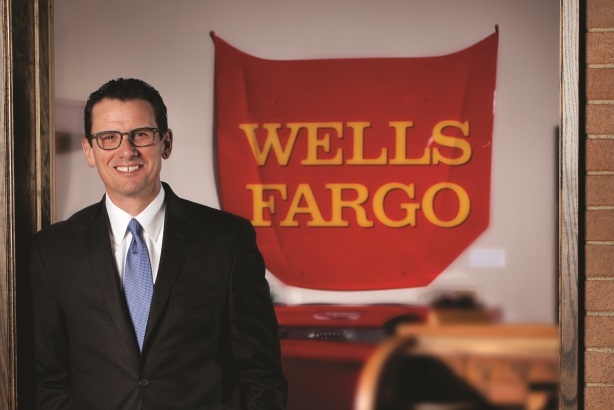 In March, Wells launched its first Twitter handle – @WellsFargoNews – directed specifically at news outlets to up its media relations efforts. On social, the bank shares stories it earns through media relations efforts and links to self-published content. "We have a content strategy that includes emphasizing how we help customers, businesses, and how we live our values and try to earn the trust of the marketplace," explains Suris. "We demonstrate that we deliver what we promise." In addition, 130 people on the comms team have branded Twitter handles, with a collective following of more than 40,000. Staffers must undergo annual training via an online module before they can practice social media on behalf of the company. 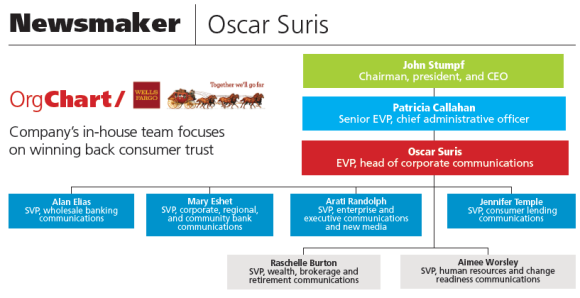 Suris’ team saw a slight restructure at the end of 2014, when SVP of corporate comms Alanson Van Fleet retired. With his departure, Suris reduced the number of his direct reports from seven to five. He oversees 240 employees and notes that the company does not have an AOR. Its comms staffers are spread out around the country, with some in San Francisco; Charlotte, North Carolina; and Des Moines, Iowa. The bank also has a regional comms network of 40 staffers who work from Anchorage, Alaska, to Miami. As of this year, a group of international communicators in the Philippines and India have a dotted-line relationship to Suris’ team. "The regional comms network is our eyes and ears in the field. They own those local media relationships that are key to us," says Suris. "While it’s great to be on CNBC’s Squawk Box, we are just as proud of being in the local paper in those markets." A more difficult task, though, for Suris and his team is communicating layoffs as the improvement in the economy actually had an adverse affect on some of the bank’s staffers. Wells Fargo, which has roughly 265,000 employees, announced it was cutting about 1,100 jobs in March. The layoffs mainly affect mortgage-servicing workers in Milwaukee. "As the foreclosure crisis began to abate and loan portfolios started to get much lower rates of loan failure, you have seen an adjustment as that kind of work has subsided," he explains. Via an internal portal and emails from business leaders, Wells Fargo has been communicating to staffers that it is committed to retaining valued members and, where possible, will work to identify other opportunities within the company. But not everyone is happy with the opportunities offered by the bank – specifically the pay. It came to light last year that CEO John Stumpf earned $19.3 million in total compensation in 2014, making 473 times more than the median salary of a Wells Fargo employee, according to Bloomberg. In response, one staffer, Tyrel Oates, who worked in Oregon processing customer requests to stop debt-collection calls, made national news last year when he copied thousands of his co-workers on an email asking Stumpf to give each of them a $10,000 raise. Oates left the bank in April 2015, and stated in his resignation letter that 5,000 people, including Wells Fargo staffers and customers, signed a petition supporting his proposed raises. He criticized the company for its "complacent stance" on his request. "The only responses that have been provided thus far is the bank simply defending its compensation philosophy with no attempt to compromise, as well as limiting who we can and cannot email within the organization," Oates said in the letter. "These are not acceptable responses." Suris’ communications team dealt with the issue by working with the company’s HR department and Oates’ managers to ensure he got a swift response. "Our response was a re-emphasis of our company’s compensation and benefits philosophies and the fact that it offers opportunities for professional growth," Suris adds. "That was reiterated in comments from our CEO at town halls and we provided similar statements externally." Although Suris is an ex-journalist, he does not go out of his way to seek candidates with reporting experience. "I look for people who are comfortable with the written word and able to describe comms concepts," he says. "You don’t need to be an ex-journalist to demonstrate that." Suris adds that those who are able to adapt quickly, be creative on the fly, and anticipate what may come ahead are more likely to land a job on his team. "People who are open to growth and change are increasingly becoming critical," he adds. Before the Wachovia merger in late 2008, Wells Fargo was a regional bank, with its presence largely west of the Mississippi. Today, there are more than 8,700 branches throughout the US and the bank is now focused on elevating brand awareness across the nation – with an added emphasis on the East Coast. "There is still a bit of discovery going on about what we are, especially out East where most folks are accustomed to New York-or Wall Street-based banks," he says. The company is also trying to attract business from the LGBT community and, in a first for the American banking sector, included a lesbian couple in a national campaign. The couple is included in one of nine TV spots the bank is releasing in different markets across the country, featuring a diverse range of people.